One of the best antiquarian bookshops in London during the 1960s was Bernard Quaritch, then at the head of Grafton Street, just off Bond Street. Amazingly, they kept a shelf marked ‘Free books’ from which customers could help themselves, a generosity I think they later regretted when they found themselves buying those books back again. One lunch hour, I found, on the lowest shelf in one of the Quaritch ground floor rooms, two books which I had never seen before, with handsome typography and coloured plates, at a pound or two each, and bought them. They were published in the 1840s by William Pickering, printed by Whittingham, and the author was Henry Shaw. None of those names meant anything to me. The plates in nineteenth-century colour-printed books had qualities which made them extremely attractive to me. The colours were bright, and of every shade; they were genuine colours, not simulations of colours by the ingenious three- and four-colour process of commercial colour printing normal in the twentieth century. The best printers in the Victorian period ground and mixed their own inks, which gave their work an individual quality which could be recognised. In the second half of the century, the contribution of the artist often became significant: Edmund Evans, for example, employed artists like Birkett Foster, Dicky Doyle, Walter Crane, Randolph Caldecott, and Kate Greenaway. 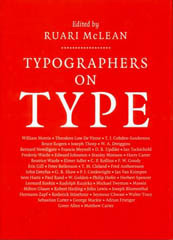 But since none of them engraved their own drawings, the wood-engraver’s and printer’s contribution remained paramount. In lithography, it was different. The artist could draw directly on the stone. Chromolithography (printing in multiple colours from lithographic stones or plates) was pioneered in Britain by Owen Jones, a Welsh architect who set up his own lithographic press in order to produce an accurate illustrated account of the Alhambra Palace in Spain, which he did in two handsome folios published in 1842-46. 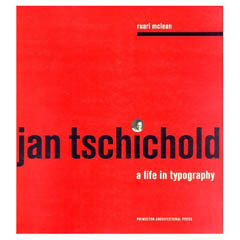 In order to find the answers to all the questions I was asking myself I had to write a book on the subject. This meant, since I did not have time to research in libraries (having my living to earn during the day) that I had to buy systematically, and try to find, and possess, every important book of the period printed in colour. Some of the books I bought in my London lunch-hours were very large. Lewis Gruner’s Specimens of Oriental Art, for example, published by T. McLean in 1850, consisted of two volumes over two feet in length, which got me into great difficulties getting on and off a bus in the Charing Cross Road. Some, on the other hand, were very small, down to Pickering’s match-box-sized ‘Diamond Classics’: diamond type is equivalent to 4-point and could not be read without a magnifying glass. They did not contain any colour, but I had to have them because not only were they Pickering’s first venture into publishing, but they were also the first books ever to be bound in cloth by a publisher. At weekends, Tony [Antonia McLean, the author's wife] and I hunted for books in country bookshops. In one small shop in Sevenoaks we found an entire room of Victorian colour printing, presumably a collection bought en masse when the owner died. I ought of course to have made an offer for the whole lot, but we did not have the money or the nerve. Ben Weinreb, a great bookseller specialising in architecture, was then near the British Museum in Great Russell Street. Admittedly I was a customer of his, but it was surely extreme generosity or foolishness to give me nine original parts of Owen Jones’ Alhambra, in grey paper wrappers, each part inscribed to the Architectural Society (later the Institute of British Architects) by Owen Jones himself. It was always a privilege to browse anywhere along Ben’s shelves. Occasionally there was sheer luck, but not often. One day in a small bookshop in South Kensington I found a folio half-bound in red leather, entitled The Art Exemplar, intended to illustrate every known printing process or method of illustration. 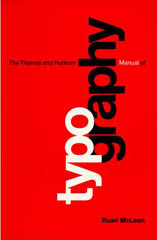 It contained eighty-six pages each with different original illustrations pasted down to illustrate the printed text. The bookshop proprietor had not looked at the book closely enough, and sold it to me as being of almost negligible value or interest. Each copy of the book had to be unique, as the illustrations, being original, were always different. I found later that four copies had appeared in elephant folio (one of which I now possessed), and six in oblong quarto. 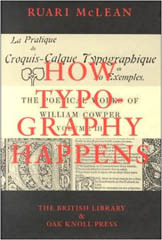 The copy belonging to the author, W.J. Stannard, is now in the Print Department of the British Museum; another is in the Royal Library at Windsor; the third once belonging to the Earl of Ellesmere, and later mine, is now in Massey College, Toronto; the whereabouts of the fourth copy is not known to me. Further afield, we sometimes visited Thorp in Guildford. This was a very large shop, like a cathedral, in which the shelves were packed with books three or even four deep; the staff had little idea where any individual book was. Our visits on Saturday mornings were punctuated by appalling crashes, as frustrated customers, trying to extract a tome, toppled over an entire stack. Clouds of dust rose up and the customer, often an elderly clergyman, had to be dug out and dusted down; but a new lode had been exposed. The proprietors of the smaller bookshops tended to be highly eccentric and, occasionally, less than lovable. One was afraid of floods, and whenever it rained he shut up shop and retired to have coffee and could not be found. Another kept his best books under his bed, where he seemed to spend most of the day; his bedroom was the only room in the house that could be entered by the door, for in every other room books had fallen down and blocked the entrance, and the windows were fastened. In another shop, in Edinburgh, the books were in three basement rooms, but there was only one electric light bulb, which the grim-faced proprietor’s wife, or sister, moved from socket to socket behind the customer, keeping a suspicious eye on him all the while. We found another bookseller in the depths of a wood in Kent. His name appeared in a printed list of antiquarian booksellers and because he was not too far from Blackheath, we made a Saturday morning appointment. We found, hidden away in a wood which seemed to imply that the occupants did not wish to be found, a tall, handsome man with white hair, who told me his life story. As a young man he had gone out to the Argentine to work on a ranch. When he asked me how old I thought he was – always a difficult question – I underestimated by twenty years. In fact he was over eighty. His father had owned an antiquarian business, including books, in Chelsea, and when the old man died, the son had come home and taken over the business. He had disposed of it all except the books, which he brought down to Kent, and now conducted business only by post. The trouble was, I couldn’t see any books. He did have a small glass-fronted bookcase in the room in which we were sitting, and invited me to look through it. I extracted a beautiful blue leather binding, which turned out to be the work of James Hayday, the leading Victorian fine binder; and better still, it had a colour-printed armorial bookplate. Bookplates printed in colour are unusual. I was allowed to buy the book, and, when home, ascertained that the bookplate, belonging to Sir Joseph Walter King Eyton, had been printed in four colours by Charles Whittingham from wood blocks engraved by Mary Byfield. King Eyton himself was a book collector who specialised in commissioning exotic bindings and in having copies of books he fancied specially printed, in a few copies, on something unusual like green vellum. One binding in leather commissioned by King Eyton from Hayday had more than 57,000 impressions of tools (item 259 in Catalogue of the Library of Joseph Walter King Eyton, privately printed, London, 1848). The name of my new bookseller friend was Peacock, and it was clear that somewhere he had a lot of books about which he was keeping quiet. However, he invited us to visit him again. As he was elderly and his wife was frail, we invited them both to have lunch in our Volkswagen Microbus – in which four people can sit round a table – parked outside his front door. He then led me down a path through birch trees until we came to a brick building with a tin roof, the size of an aircraft hangar – it might have been a wartime bomb store – which was stacked with books on simple wooden shelves so tightly spaced that you could hardly walk between. There were many large unopened packing-cases, and at the far end there was a great pile of books lying higgledy-piggledy beneath a layer of guano, which also lay along the tops of all the shelves: birds were nesting inside the roof. The first I picked up there was volume 2 of an aquatint-illustrated account of India, in poor condition; I never found volume 1. I was allowed free range through this potential Ali Baba’s treasure house, and came out, after an hour or so, with a few not exceptionally interesting books which I bought at reasonable prices. I made one or two other visits on Saturday mornings, each time coming away with something, but never actually finding the shelf of Cundall’s gift books, or a complete set of the Home Treasury series of children’s books, in mint condition, which I was convinced must be lying just round the next corner. Many of the books had his father’s bookplate, a wood-engraving of a peacock combined with the initials CJP, and I have often seen this bookplate in bookshops all over the country. My Mr Peacock died; I never heard when. His wife knew nothing about the books or his business. She found the name of a bookseller on a letter lying on his desk and invited him down to value and dispose of the stock. I was told that he took one brief look and offered her £500, which she accepted. That was about what it would cost to remove the books to London. To be fair to this bookseller (which I find very difficult) it was a gamble on which he might have made a loss, but I believe it paid off handsomely. For many years I continued to have dreams about finding a treasure on the guano-topped shelves in that isolated wood. 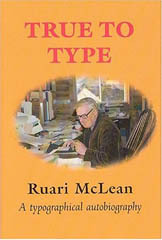 Ruari McLean’s colourful and varied experiences include working under Bernard Newdigate at the Shakespeare Head Press in Oxford, with Percy Lund Humphries in Bradford, with the innovative Swiss typographer Jan Tschichold at Penguin Books, and with the legendary Marcus Morris on The Eagle.